In a medium bowl, combine the first seven ingredients and blend well. Refrigerate the cherry salsa for at least one hour to allow all of the flavors to meld. Form ground venison into eight thin patties. Place one pat of butter in the center of four patties then top each one with an additional patty. Crimp the edges of the burger to seal it completely. Season liberally with Kosher salt and pepper. Grill the stuffed patties until they reach an internal temperature of 160°F, adding a slice of sharp cheddar cheese to the top of each during the last 3–4 minutes of grilling. 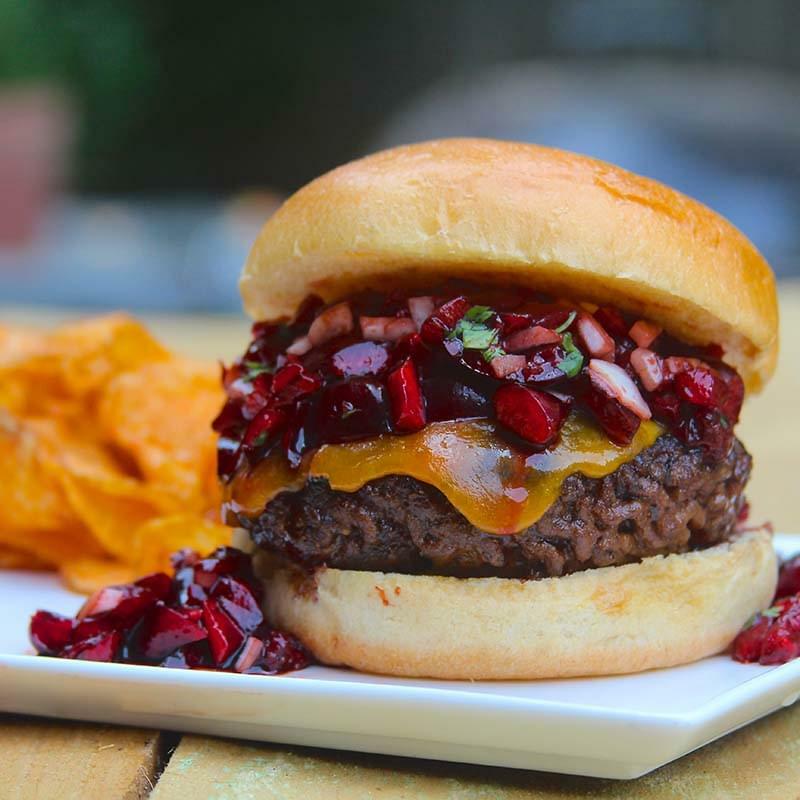 Place burger patties on the bottom bun, add cherry salsa and the top bun then serve immediately.